Spread the Word About Communicating With Animals and Join the Animal Lovers Affiliate Team! The Bottom Line: It’s my passion to teach animal lovers how to talk with animals so they can save money at the vet, and solve behavior, performance and training problems, and deepen their connection and understanding of animals. My mission is to improve the lives of animals the world over by helping humans learn how to speak their language, understand their viewpoints, and heal. After all, it’s our love of animals that helps us learn how to be better humans, and the more balanced and healthy we are, the more balanced and healthy they can be too. You get access to multiple text ads, tweets, graphics and banners that you can begin using right away to attract customers and earn commissions! 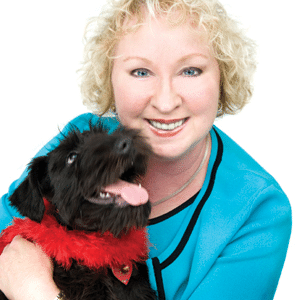 Helping others who are ready to take a pro-active approach to improving their relationships with themselves & their animals through improved communication, energy medicine, health & balance for body, mind & spirit can change your life.